Unikko on yksi lempikukistani. Sen nuppu on söpö karvapallero, kukinto upea ja siemenkodasta saa kuivatettuna kauniita koristeita. Poppy, one of my favorite flowers! Lovely! Great selections & I love Poppies & have them growing wild in my backyard! I love poppies, when I was young I always saw them together with cornflower. Such a lovely combination. Great mosaic! Poppies are ever so beautiful and pretty. 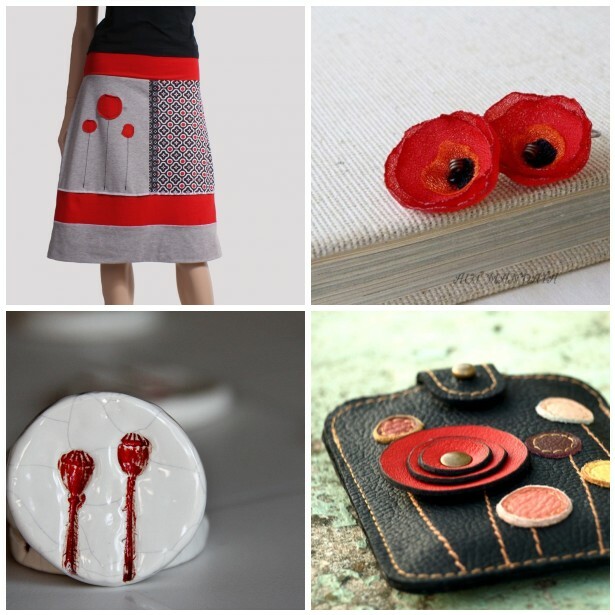 Thanks so much for including my skirt in this lovely collection.